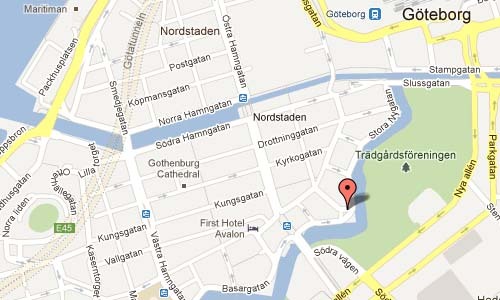 Bastionsplatsen in Göteborg is a small square in central Göteborgg, named 1883 after the now demolished bastion Gustavus Magnus, built in 1686-1693 and near Lilla Nygatan and Lilla Kungsgatan. 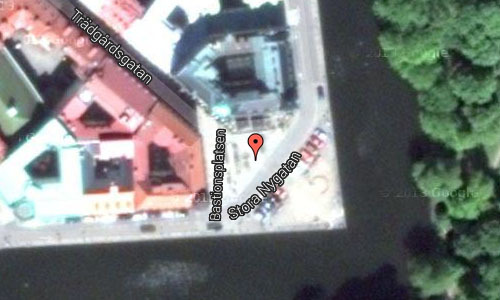 The site is located in the Kvarteret 4 Manegen, named after the riding school which was built in 1824 in the area, and is a triangle with the measurements (approximately) 30 × 40 × 30 meters. 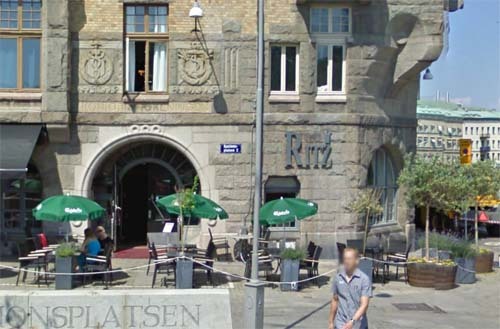 At Bationsplatsen (and pictured above) was located the Kontoristföreningens house, built between 1905 and 1908. Kontoristföreningens Hus in Göteborg was designed by architect and professor Hans Hedlund. 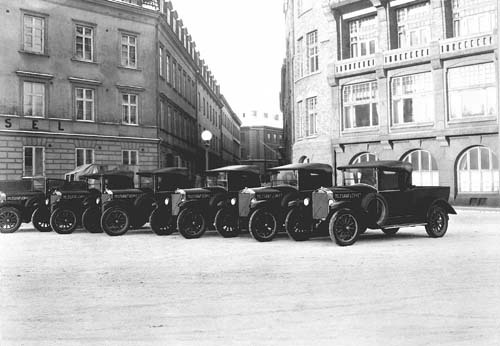 Göteborgs Kontoristföreningen started in 1892 and had 250 members. 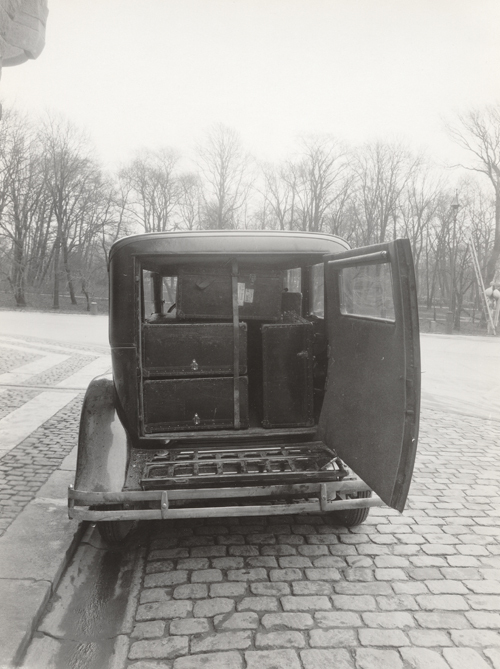 The main activities were trade union and political activities as well as hotel and restaurant business. The building’s three upper floors were built as a hotel and rest of the house contained meeting rooms and lounges. The hotel was at the time very modern, with elevator and telephones, it was left up in the 1960s. The building’s high facade rests on pedestals out of crude Bohus granite. The corner towers, galleries and powerful features of the granite breaks the house out of the Big Nygatans calmer architecture. Jugendstil highlight here is the solid workmanship, individuality and simplicity were at the center while the distance was from the requirements of symmetry and regularity, and from shallow spot thinking. 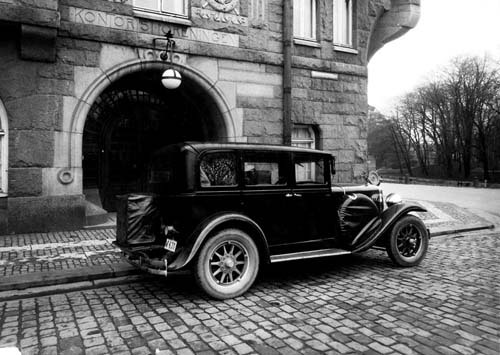 In 1964, Kontoristföreningen left the building and finished its activities. 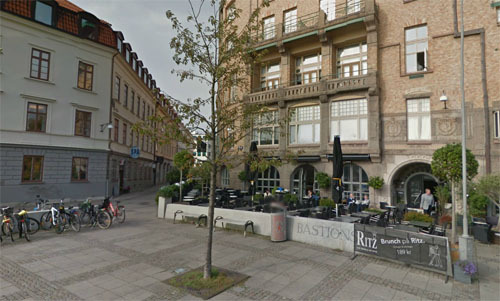 More information at Ritz Bar & Restaurant (World of Ritz), sv.wikipedia.org/wiki/Kontoristf%C3%B6reningens_hus and sv.wikipedia.org/wiki/Bastionsplatsen.